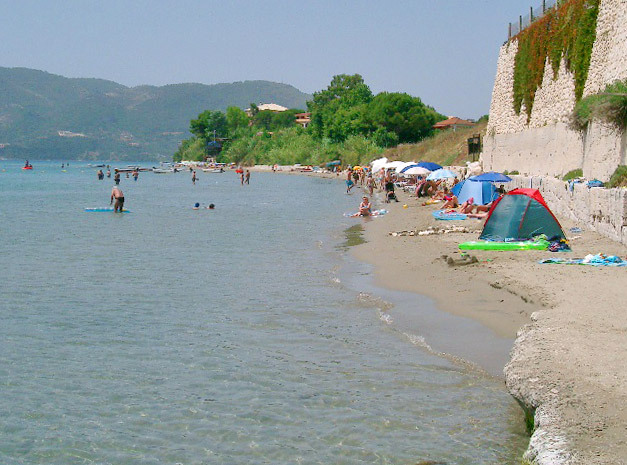 Beaches are ordered from the Western to the Eastern ones of the bay. Capo Marathia Marathia Cape is a lovely promontory at the far end of the marine park; it is located in the area of Limni Kerì from where you can take a road going up to the right coasting the entire promontory. The road is in good condition, traversable both by car and motorbike and allows reaching the small beaches scarcely crowded even in August. These beaches, even though with polish rocks, are very good for sunbathing and snorkeling since the sea here is clear and full of fish. Nearby it is possible to find a couple of refreshment areas without having to drive back to Limni Kerì. 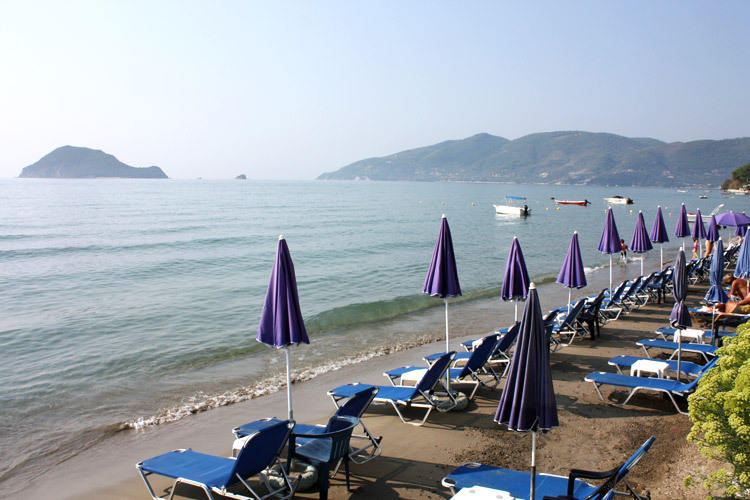 On the biggest beach is possible to rent sunshades and deckchairs and there is a taxi-boat service from the beach to Marathonissi island. 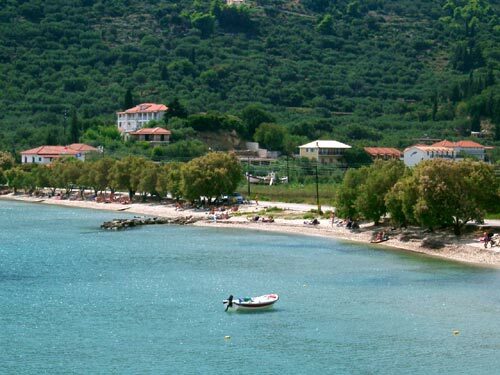 Limni Keri It is a small but lovely beach developing along the village seashore with restaurants and tourist shops. 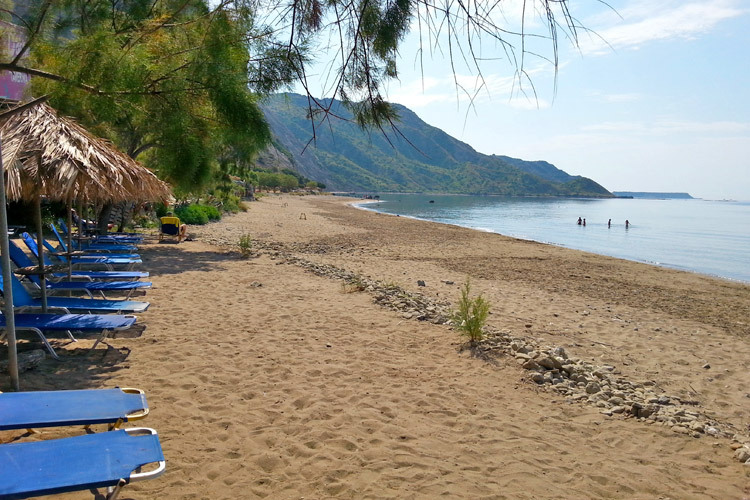 This is a shingle beach but the sea depth is sandy; this beach is a strategic point to visit Marathonissi and for a lovely trip to the caves of Marathia Cape. From Limni Keri is also possible to hire motorboats for daily trips. 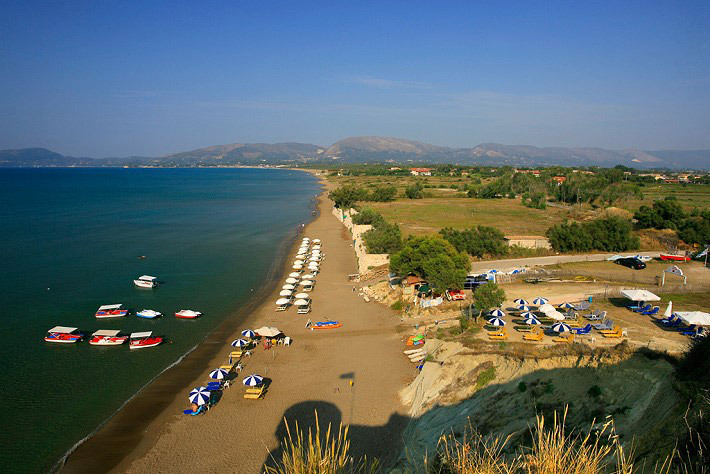 There is also a small harbour and a diving center (Nero Sport) for wonderful experiences under the sea. 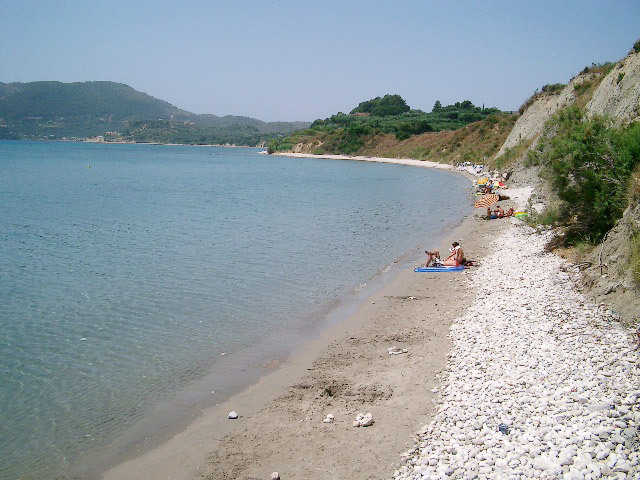 Kaminia Kaminia is a small beach of white pebbles. It is narrow but with a wonderful water and it is difficult to reach by land. There are only steps not comfortable to come down. 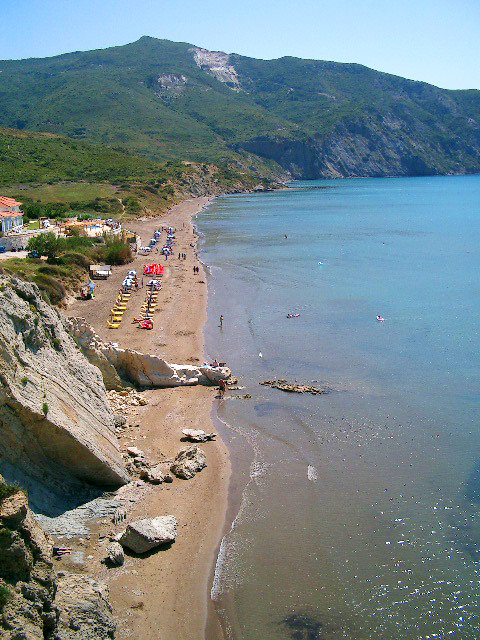 Kaminia is the continuation of Porto Koukla so it is advisable to go for a walk along the beach to reach it. Sure this is the ideal beach in order to be alone or nearly. Porto Koukla Porto Koukla is a sandy narrow beach. 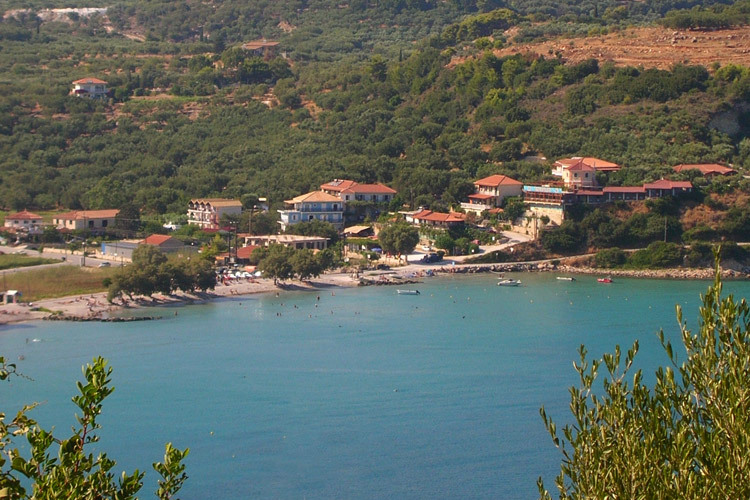 Situated in the middle of the gulf, it allows to have a panoramic view from Marathonissi island to Ag. Sostis. This beach is constituted from two different parts. 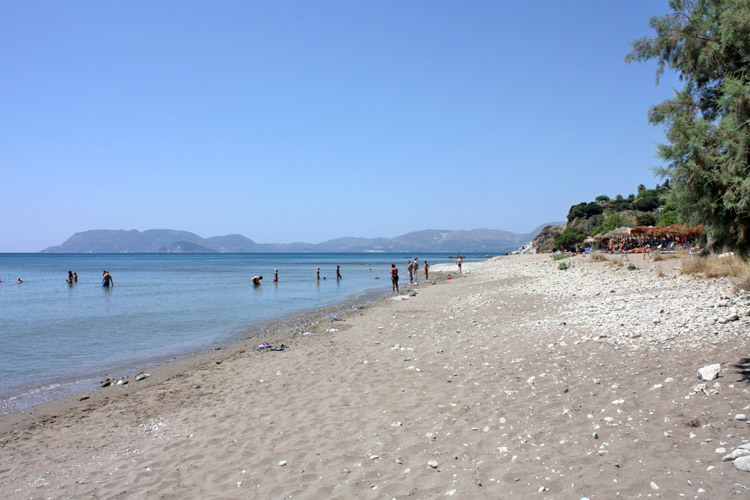 First can be reached by sea continuing along the beach of Agios Sostis. In this part of beach there aren’t tourist features and it continues until to a small cape (photo above). 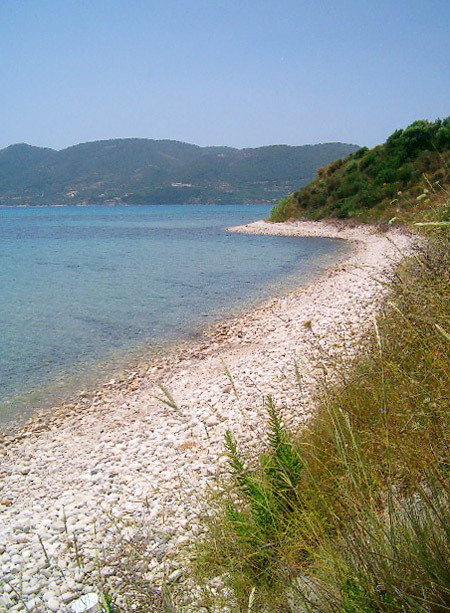 After the cape there is the second part of the beach that consists of a mixture of sand and pebbles. This part can be reached by land (photo below). Agios Sostis Small island in front of Laganas’ harbour, it is connected to the mainland with a wooden bridge enlightened at night. 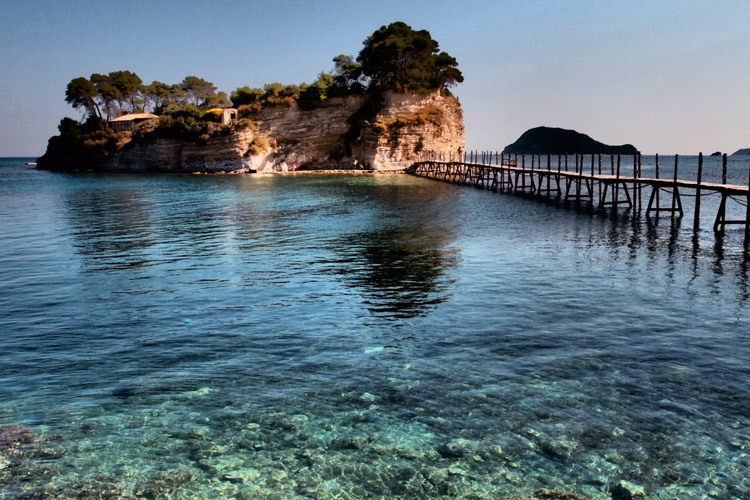 In the past it was connected to Zakynthos island then, because of an earthquake, it became a peculiar small island, final destination of many tourists. At night it turns into a real disco with paying entrance, whereas during the day it is a wonderful place where you can take a bath among thousands of fish (always with paying entrance). Next to the small island, not to the side of port, there is also a sandy beach that takes its name. Beach is long but little large and you can find deckchair and umbrellas. Along the beach there are bars and taverns. Laganas It is the youngest and most commercial beach of the island. 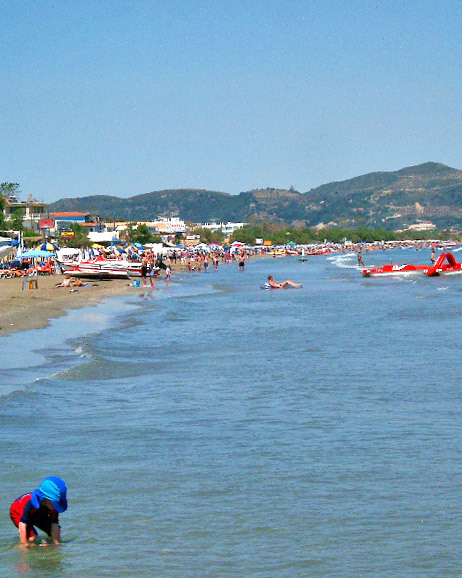 It is a long tract of sand incorporating the as long beach of Kalamaki full of deckchairs and sunshades, restaurants and snack bars open from the morning till late night. 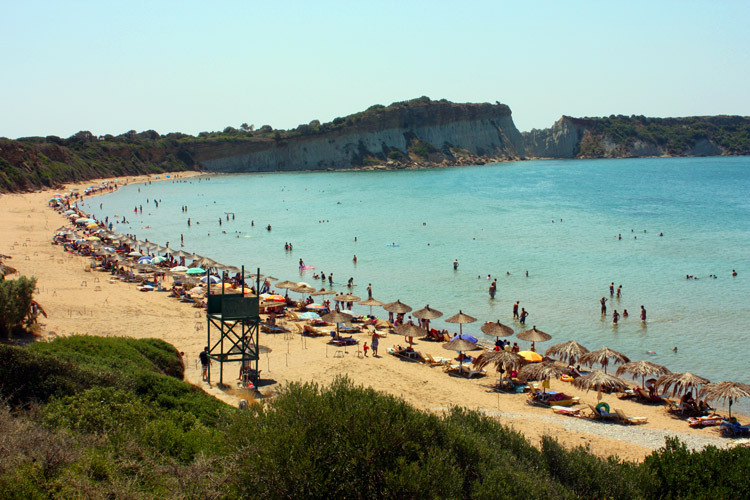 The sea water, even if less attractive than other parts of the island, is always very warm and always clear, sliding slowly down because of the short depth even at a certain distance from the shore. 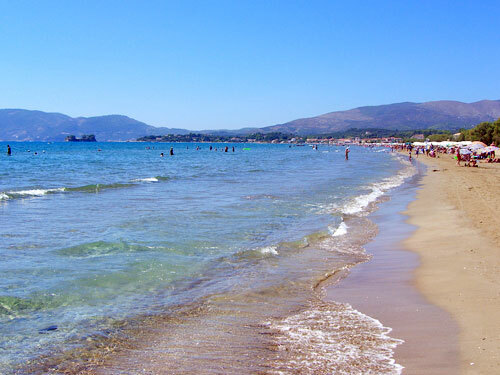 Kalamaki It is a beach of fine sand very crowded in the first tract, the one close to the hotels, but it is worth, at least once, to go for a walk towards the final part of this beach where the mountains dive directly into the sea. 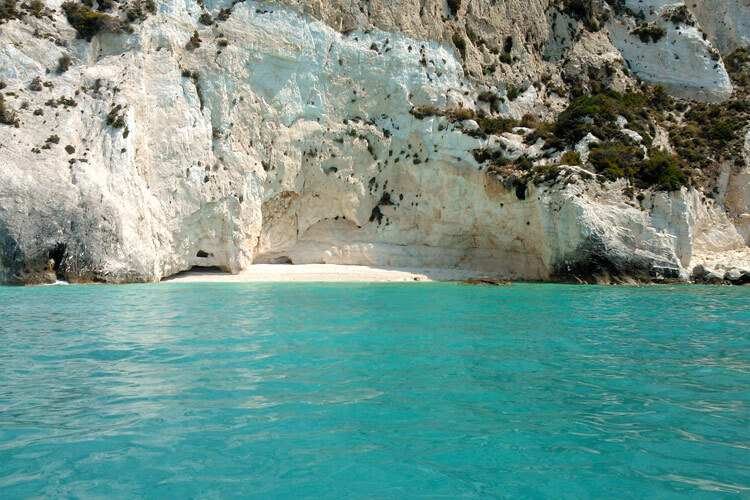 In this part of sea there are crystal clear and warm waters, and it is possible to be alone even in August. Instead walking in the opposite direction you can reach Lagana beach, really this two beaches are only one longest sandy tongue. Halfway between the two tourist towns the beach is usually desert and behind there is a big pinewood. Even for this beach the admittance hours are limited due to the presence of turtles. 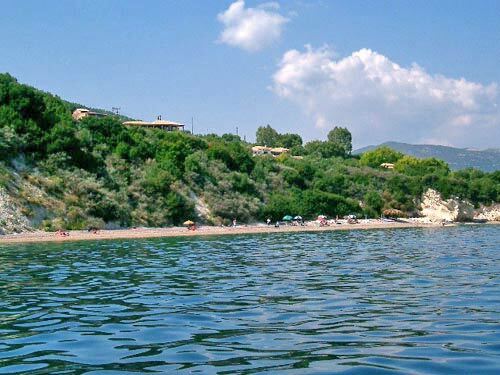 Dafni It is one of the most beautiful sandy beaches of the island. 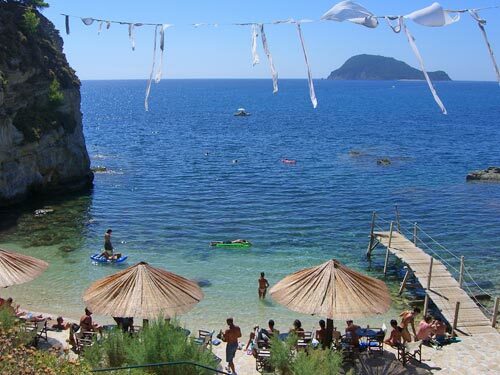 The sea here is the warmest of the entire island (temperatures between 27° and 30°C); being a protected beach it doesn’t offer any sports facilities but there are a couple of family taverns. 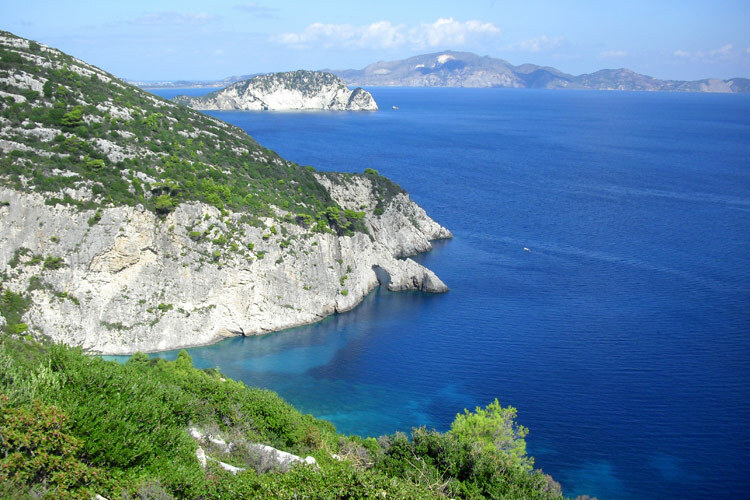 At the two extremities there are rocky areas and in the front at one or two km distance there is the lovely small island of Pelouzo; this island is not reachable from May to October as it is in a non navigable part of see according to the rules of the Marine Park. 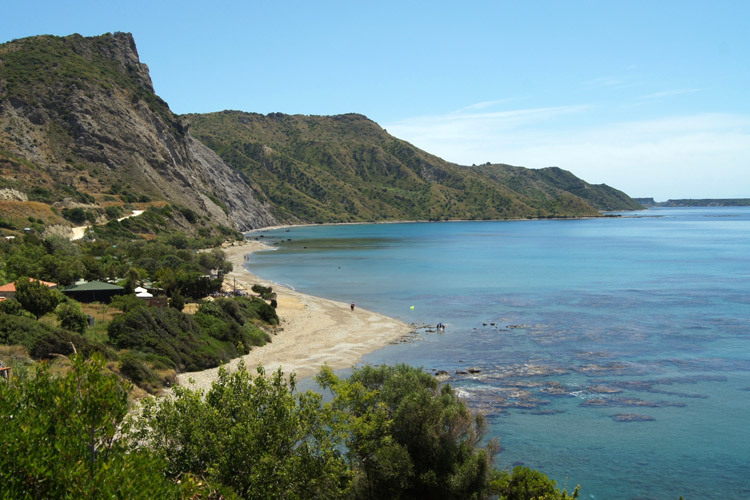 Starting from the coastal road that connect Argasi to Vasilikos there are two different roads that bring at the two extremities of Dafni beach. Gerakas The most southern beach of the island, it is long and sandy, one of the most beautiful and for this reason it belongs to the top 10 list (where it is very well described).